" Another awesome idea Peter! Very clever; I wish I had thought of this! " " This looks great! With the popularity of Harry Potter this is the perfect topical effect. Funny AND amazing is hard to come by! " " Peter your Broom thru body illusion looks SWEET! This is extremely visual! Another winner from Peter Loughran! " " Wow, this looks CRAZY! I've been a huge fan of Peter Loughran's "off beat" Illusions since the very beginning, and he keeps astonishing me every single time. 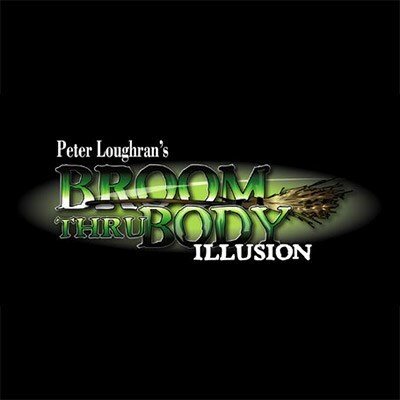 Peter's latest release: 'Broom thru body', is no exception. It seems you have outdone yourself once again, Peter. Great Stuff! "